It's no secret that I really liked Mass Effect 3. 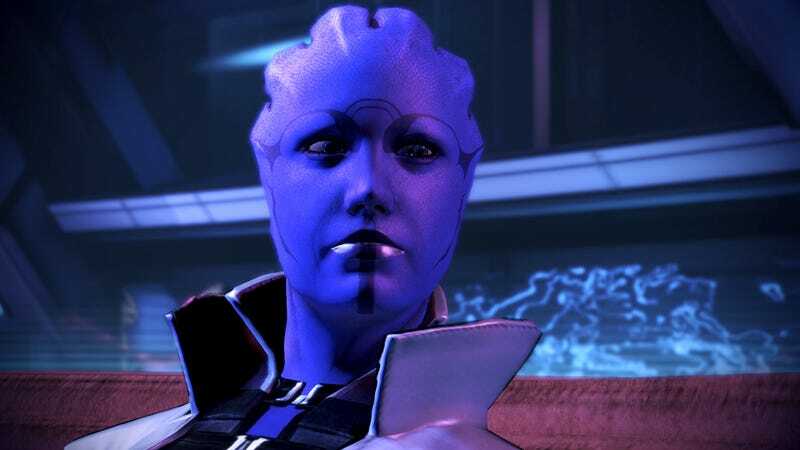 But as I wound into the last acts of the game, I began to feel like something was missing: I'd really hoped that Aria would demand Shepard's help in retaking Omega. Lines from the leaked script supported that theory, as did unearthed dialogue. That mission, at least as it exists in my head, is one I really wanted to play. Now, it looks like I might just get my wish—and relatively soon, to boot. The first time I started to tear up a bit, I&apos;d only been playing for two hours. In a post today outlining the future for BioWare in the wake of the founders' retirement, Aaryn Flynn, general manager of the BioWare Montreal and Edmonton studios, confirmed that the Omega DLC is on its way, along with more multiplayer DLC. Flynn indicated only that the Omega DLC was coming "in the fall," but as we're already halfway through September it seems likely that we won't have all that long to wait. A Mass Effect DLC teaser image from last weekend's Montreal Comic-Con has been making the rounds; while the image is blurry and undefined, it seems more likely than ever that the tease is indeed for Omega.